Rock n’ Soul, STAX, and Gibson Guitar Museums – There’s almost too much musical history to take in for just one trip to Memphis but Troubadour does our best to get you into all of the very best museums and factories while you’re there. Rock n’ Soul and STAX will show you just what made Memphis great over the years with exhibits that feature the progression of Rock n’ Roll, R&B, and Soul music throughout the years. 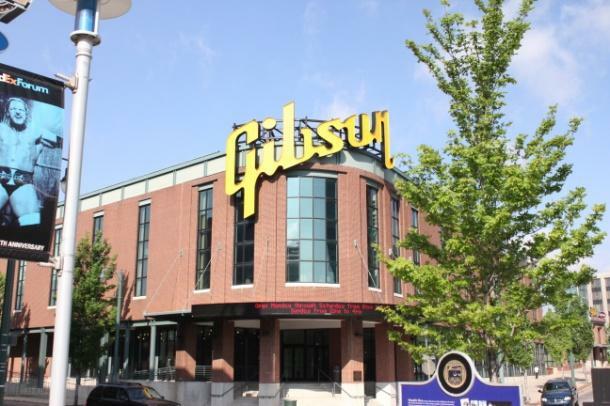 The Gibson Guitar Factory takes your students on an extensive tour of the Memphis chapter of Gibson Guitar making which shows how they are built from scratch beginning with just a piece of wood and some nylon strings. Mud Island River Park – Want a place for your kids to get some fresh air and free time and yet still have a lot to do? Ride the monorail over the Lower Mississippi River to Mud Island River Park, home of the Mississippi River Park, River Museum and amphitheater. 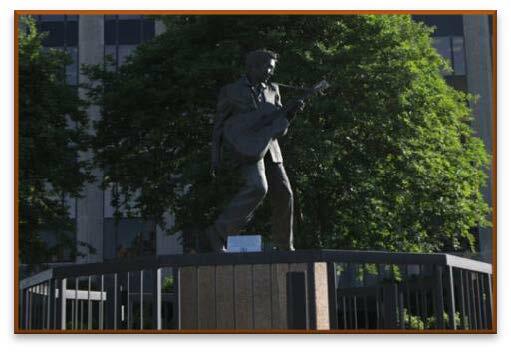 Graceland – Elvis fans will have a hard time staying on the bus when it pulls in to the kingdom of rock and roll that is located across the street from Elvis’s 13.8 acre estate. Museums include a vast array of Elvis music and movie memorabilia as well as a collection of cars, motorcycles and even Elvis’s own pair of private jets. The courtyard area of Graceland in the museum section is great for a performance for your group. They will never forget performing at the Home of the King of Rock and Roll.